The constant need to use antacids or acid-reducers. The person goes through withdrawals. Have you noticed any of the above signs or symptoms in your drinking or of someone you love? It might be a helpful indication that there is a problem at hand. Windward Way can help with our addiction treatment program. Call us at 855-491-7694 and we can show you just how straightforward and heartening our intake process is. Regain your life. Regain your freedom—with Windward Way. The abuse of alcoholic beverages can be extremely insidious. Often, men don’t want to admit they have a problem, even though it seems as clear as the nose on your face to another family member or friend. Also, because alcohol is legal, the complication of availability presents itself every time a guy drives by a liquor store or a bar. Complications and side effects of alcohol addiction abound. Alcohol in excess is extremely toxic to the human body, affecting nearly every major system and organ. Withdrawal from alcohol can also be deadly. Major complications like acute pancreatitis, esophageal or stomach cancer sometimes develop more quickly than a person realizes. That’s not even taking into account all the trouble a person experiences when they try to drive or complete another task that requires concentration (not to mention that it’s illegal). Withdrawal, if it doesn’t kill you, has other unpleasant side effects such as: tremor, nausea, anxiety, depression, sweating, headache, and/or difficulty sleeping (which can last several weeks or even months). Windward Way’s clinically supervised alcohol detox center and alcohol rehab can help you regain a life free from the ravages of alcohol. And because our caring and understanding intake experts are available at all hours, there’s no reason why not to call right this instant: 855-491-7694. Rediscover yourself, the Windward Way—get your life back and discover just how great a life in recovery can be. 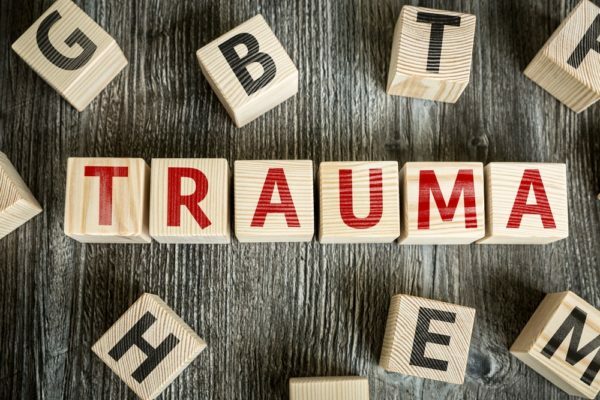 One in ten American children lives in a home with at least one alcoholic parent, and over 17 million people over the age of 18 struggle with an alcohol use disorder. Alcohol is considered a poison if consumed in excess over an extended period; it can cause severe and fatal health consequences. 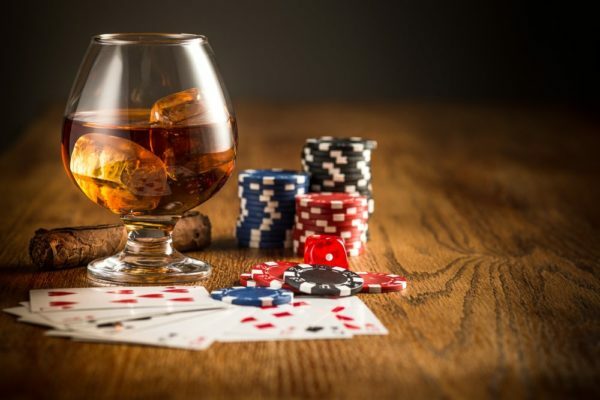 The following article will explore the early signs and symptoms of alcohol addiction and its adverse effects on the liver, esophagus, and spleen. Alcohol is legal, and it also plays a massive part in many cultural milestones. Society reinforces its consumption through important events, television, and advertising. Alcohol’s presence is ubiquitous throughout the country, making it extremely easy to obtain. Furthermore, because it is so widely available, it is harder for someone to quit. With street drugs like heroin, a user has to actively seek out the drug and take higher risks to acquire it. Alcohol, on the other hand, can be obtained right down the street at a convenience store or shopping center. Alternatively, it is also cheaper than addictive drugs like cocaine. Compared to other drugs, alcohol is incredibly addictive, and the chances of relapse are high. Worse yet, the withdrawal symptoms from alcohol are more severe than other addictive drugs such as cocaine, heroin, and nicotine. Alcohol withdrawals can start as early as a few hours after the last drink. Usually, withdrawal symptoms will peak between 24 and 48 hours after cessation. Delirium tremens is rare but potentially fatal. Signs can include disorientation, high blood pressure, seizure, coma, and death. Prolonged side-effects of withdrawal occur in some cases. These can include memory problems, delayed reflexes, depression, and anxiety and can last for many years. What are the dangers of alcohol poisoning? Left untreated, alcohol poisoning can cause asphyxiation and death. A person may choke on their vomit, or become so dehydrated they may experience a seizure. Acute alcohol poisoning can also cause permanent brain damage. Six people die of alcohol poisoning every day. If alcohol poisoning is suspected, call 911. What are the risks of the liver disease? Excess fat cells accumulate in the liver, causing it to swell. Some patients experience upper abdominal pain with fatty liver, and it is the first stage in alcohol-related liver damage. The liver can heal itself from this condition if the person quits drinking. Alcoholic hepatitis is inflammation and swelling of the liver which causes damage to the organ. Sometimes, acute cases can occur with a binge-drinking episode. With chronic alcoholic hepatitis, the damage can be reversed if the person quits drinking. This is the most severe form of alcoholic-related liver damage. With cirrhosis, healthy, living liver tissue is replaced with nonfunctioning scar tissue. After about ten years of heavy drinking, up to 20 percent of alcoholics will develop cirrhosis. Liver cirrhosis is a potentially fatal disease, but with treatment and cessation of alcohol, sometimes the damage can be reversed. Although alcohol is a highly addictive and deadly substance, with treatment and support, many can go on to make a full recovery. 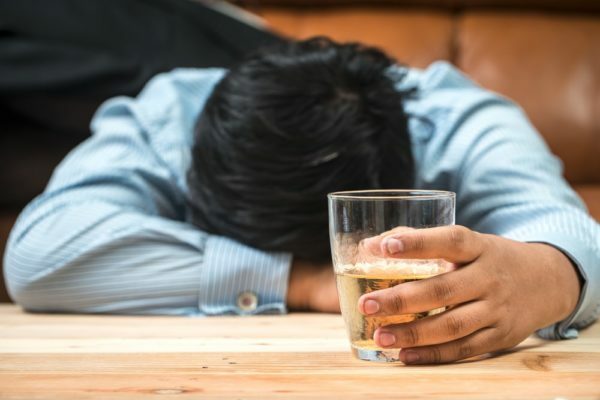 Since the damage to the liver can be severe and in some tragic cases irreversible, it is incredibly important that people suffering from alcohol addiction get the help they need. 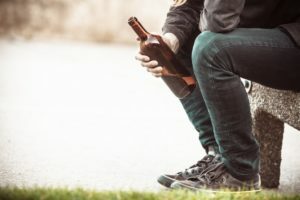 With an ongoing maintenance plan and scheduled therapy sessions, people can go on to live a life free from alcohol abuse and its dangerous, painful health consequences.